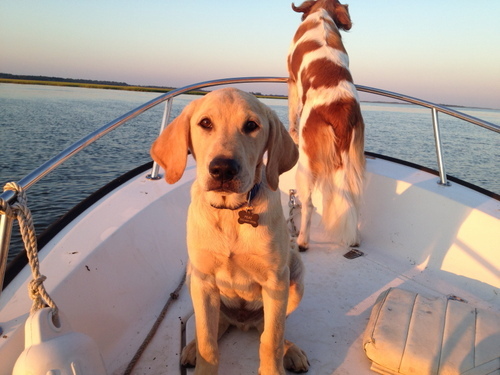 It’s hard to think about working with your dog during the dog days of summer, but if you can, you’ll be glad you did. Right now, there’s one simple trick: keep your workout short short short if you’re working in the heat. 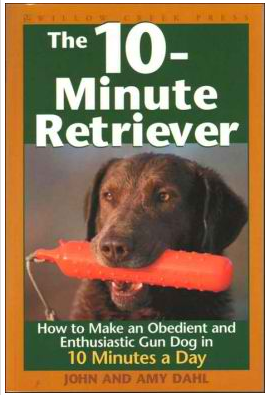 A few years back, I was given a wonderful book that revolutionized how I have worked with our dogs: The 10 Minute Retriever, written by John and Amy Dahl. This book helps you train a well mannered, obedient and happy dog — in really short, enjoyable workouts (wish they’d written one for training kids.) which is the key all the time, but especially when it’s hot and everybody can get a little testy and distracted. I’m working on a post about what I’m doing now with Peat — the kid’s best pal and a vastly improved working lab. The keys to keeping him in training are all in that book. 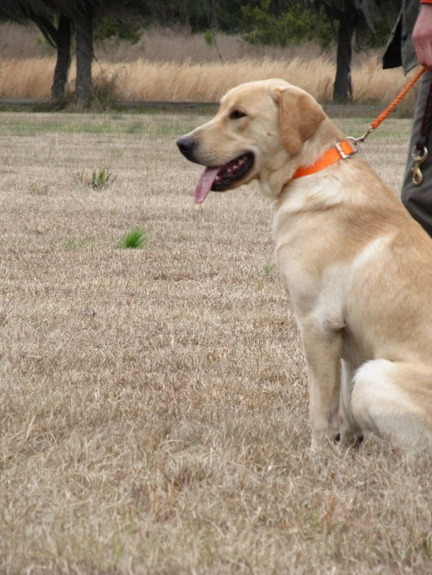 Let me say, he didn’t start out this way…here’s a link to an archival story about Peat as a pup. Suffice to say, he’s come a long way! Love this site! Keep the blogs coming. It’s so much fun reading about life at Alligator Hall. Sure beats waiting 30 minutes for the Lexington Avenue 4 train and then getting jammed inside with 400 other hot and sweaty commuters!